I’m pleased to announce that we’re now accepting new customers onto our monthly WordPress SEO packages. We have been offering social media marketing and SEO packages for our own clients’ WordPress websites for several years now. During this time, we have fine-tuned our packages to create a choice of 3 WordPress SEO packages. They work extremely well for blogs, startups and established businesses with different budgets. What are the WordPress SEO packages? These plans combine a range of SEO and social media marketing techniques. They build brand awareness and direct high quality, relevant traffic to a website. The more expensive SEO packages also include paid search (Google AdWords management) and sponsored social ad campaigns. This gets fast results while we build your free/organic search engine position more gradually. Are the SEO packages just for WordPress websites? As a specialist WordPress web agency, our SEO services are tailored specifically to WordPress websites. A lot of SEO companies provide more generic services and therefore can’t provide the tailored advice on making your website as search engine friendly as possible. Our SEO packages work because we combine our WordPress expertise with our SEO and social media marketing skills to give websites the best possible change of a good search engine ranking for their chosen keywords. 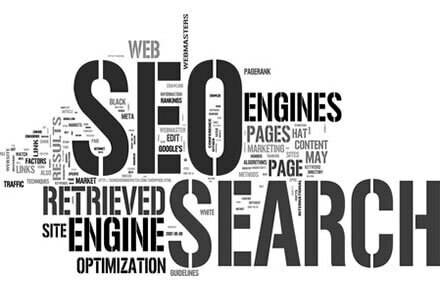 Previously, our SEO packages have been limited to existing clients. We have never offered them to people who designed their own website or used another company. However we have always received enquiries from other people who are looking for specialist WordPress SEO services for their own website. For the first time, we have decided to make our SEO packages available to other WordPress websites. The services will be the same as the ones we offer to our own clients, the only difference being that we will need to audit your website first and make sure it is set up to be search engine friendly. Can you improve the SEO of my website? If your website is reasonably SEO-friendly or is fairly straightforward then we can start your SEO package straight away, with no setup costs. If your website will need a lot of work to optimise it for search engines then we may suggest a one-off setup cost. We can then get started with the ongoing SEO. This is because all the WordPress websites we design are designed to be search engine friendly. This makes the ongoing SEO and social media marketing more effective. You’ll get the best return on investment from an SEO package if your website makes it easy for search engines to find. Either way, we will analyse your website and provide expert advice before you commit. Please get in touch to find out more about our monthly social media marketing and SEO packages for WordPress websites. There’s no WordPress plugin that can cover all elements of SEO, just as a great hammer won’t by itself help you build a fantastic new house! Configuring your SEO plugin correctly is a step in the right direction.When you upgrade WordPress, or a plugin, or install a new plugin or theme, it will alter your website’s code. These changes may negatively impact your site’s SEO if not properly accounted for, which could cost you lost rankings. I was struggling for my website.I tried their services for the first time for Seo & Smo it was good. I am happy because my is increase day by day on search engines. Hello Katie, Thanks for sharing such meaningful blog with us. As I am working on my site, I used their services for SEO and i must say it was really incredible and helpful.